Welcome to Its Sew Easy, a series of short classes designed to teach you sewing techniques to make your sewing Sew Easy! 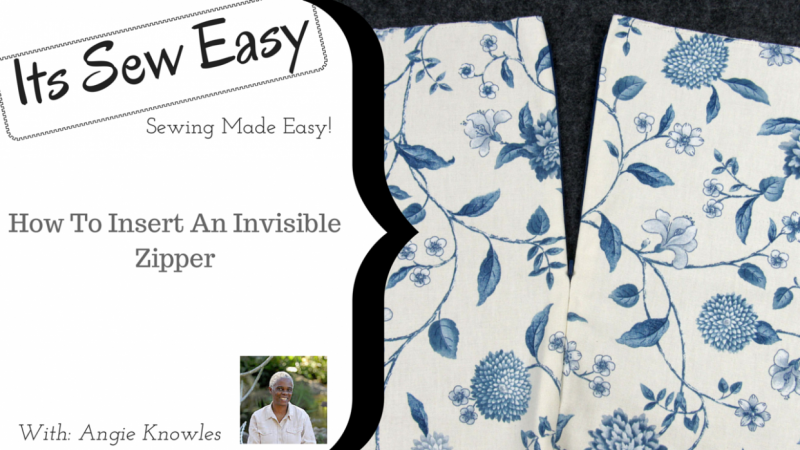 In this episode of Its Sew Easy, you will learn to insert an invisible zipper. I will share with you my #1 easy tip for inserting the perfect invisible zipper.